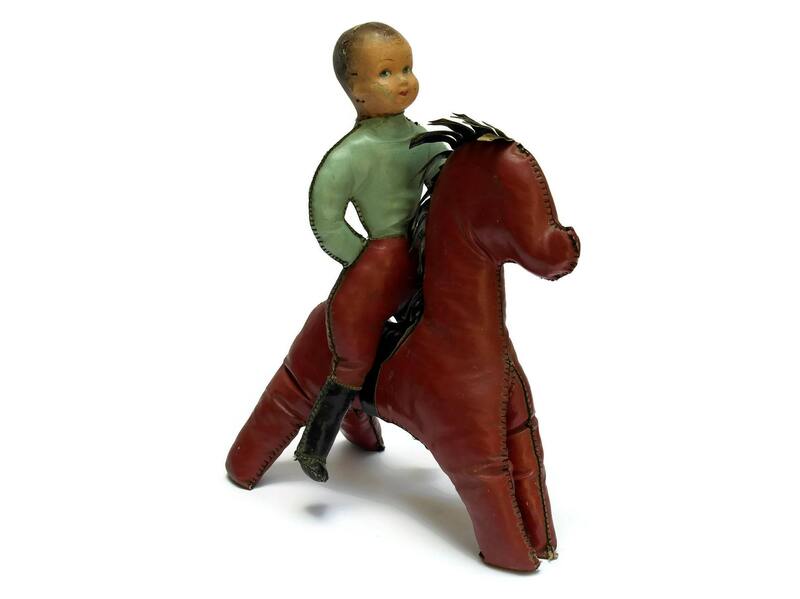 French Vintage Oil Cloth Boy Doll Riding on Horse. 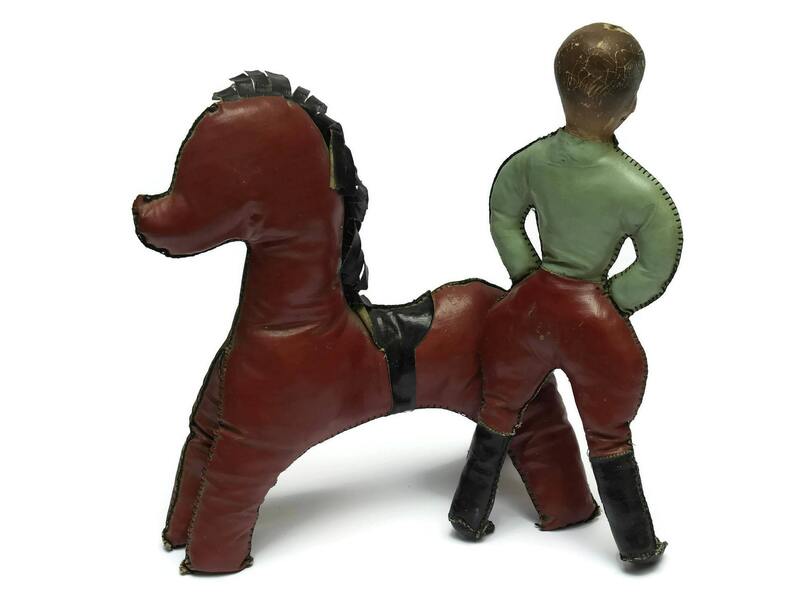 An adorable French cowboy doll with his horse dating to the 1950's and are filled with old world charm. 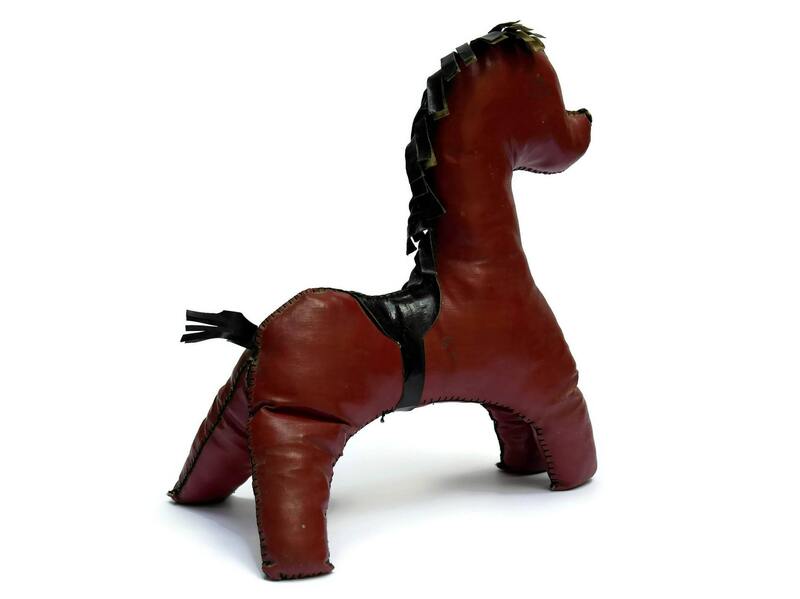 The bodies of the boy and horse have been created from hand-stitched oil cloth in shades of light blue and red which have been stuffed with straw. 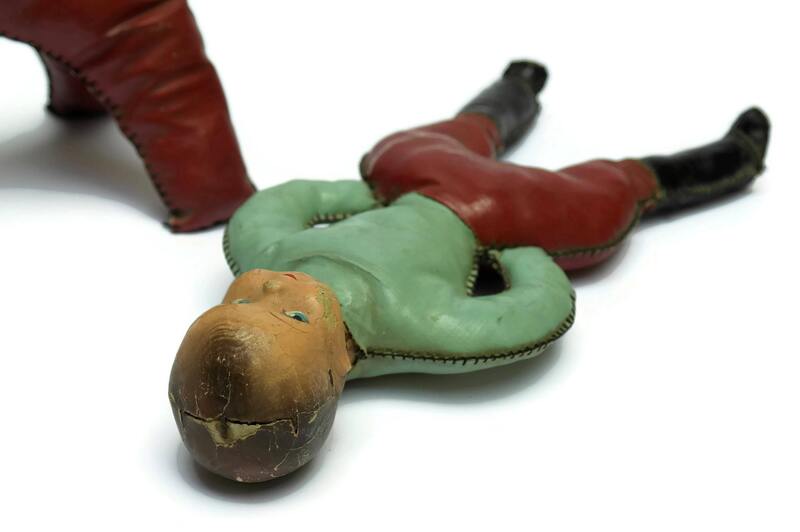 The composite molded head of the cowboy has been hand-painted with a charming expression. 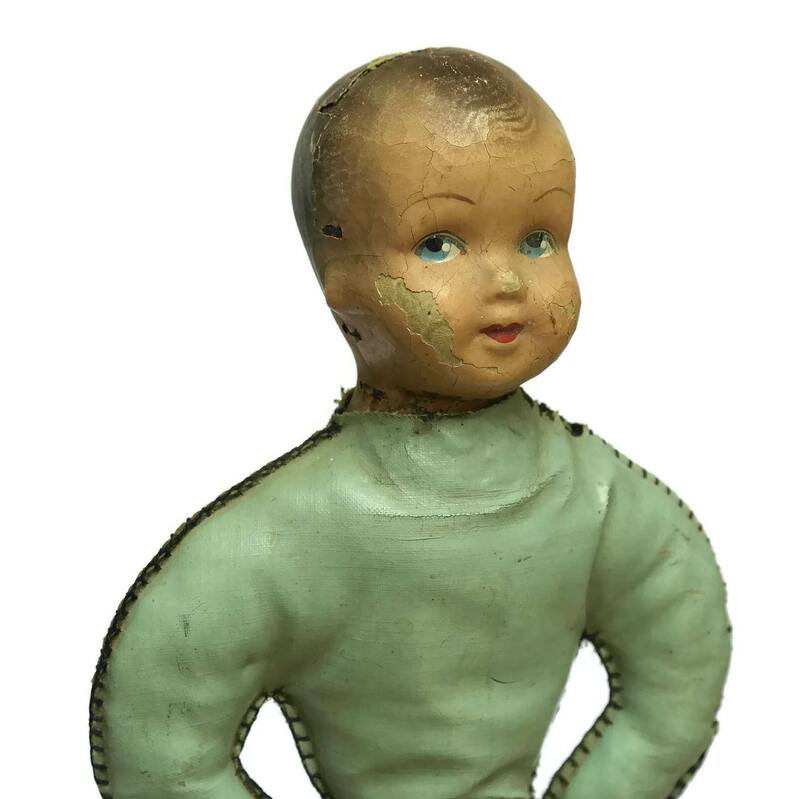 The antique toy horse and cowboy doll are in fair condition with signs of age including wear and flakes to the paint on the head of the boy doll. The oil cloth is worn in places.